One of the most important things for us gals is to select the right gifts for the guys in our lives, especially the ones who have been princes this year. Cell phone handsets and other cell phone gifts can be good for the guys who have done a good job keeping in touch. For the guys who may have had a hard time, Keep Calm and Carry On posters and other Keep Calm gifts have a message all kinds of guys will appreciate. Whatever the year has been like, we've got gifts for guys that work for fathers, brothers, sons, partners, husbands, exes, etc. Our gift wrap has black and white XOXOX's on it. The idea is to for gifts for guys to be so well suited to them that you get plenty of XO's back. Do you need gifts for Dad, gifts for boyfriends, or gifts for Husbands? 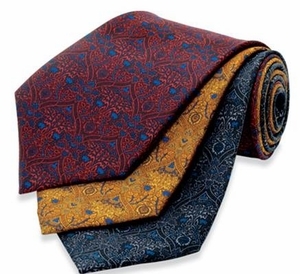 We�ve got unique gifts for guys that will work for all types of relationships. We offer men's gifts that significant others can enjoy too because they are mostly one size fits all. You can wear his Keep Calm and Carry On cufflinks, borrow his Keep Calm and Carry On t shirt, use his Keep Calm and Carry On mug, have pillow talk with him on our accent pillow, tell time on the leather desk clock, etc. See also our Crown hooks which are a perfect set for couples. Keep Calm and Carry On items really make universally super gifts for guys. Men around the world are loving them. David Beckham has a Keep Calm and Carry On t shirt. Keep Calm and Carry On Items are showing up in lots of guy places -from soccer fields to embassies to boardrooms guys ( and gals) need to keep calm and carry on. We sell as many Keep Calm and Carry On posters to men as women. Whether men are saving the world or surfing it, or both, they like Keep Calm and Carry On gifts for guys. The message works as gifts for Dad, gifts for boyfriend, or just about any guy gift. Dad, boyfriends, bosses, sons, there are so many different kinds of guy gifts to give it can be overwhelming. Again in consideration of the economic times, we�ve tried to pick useful gifts. We hope you find one of our gifts for guys suitable and that you will enjoy the giving as much as he enjoys the getting.